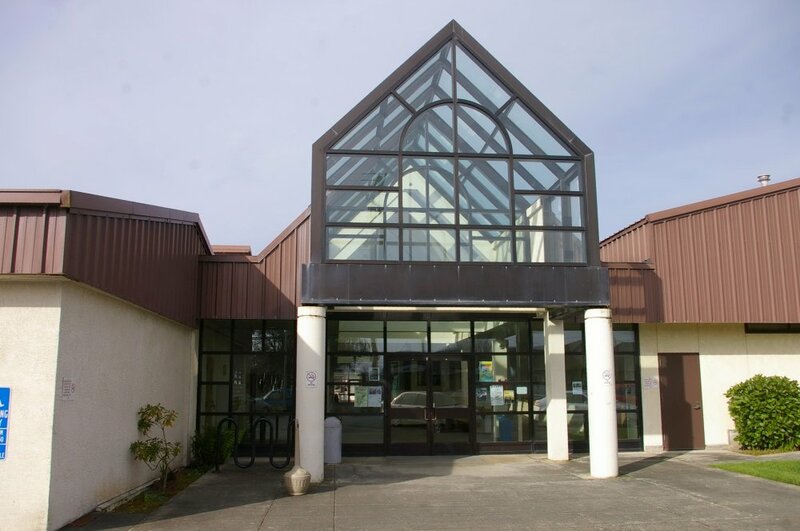 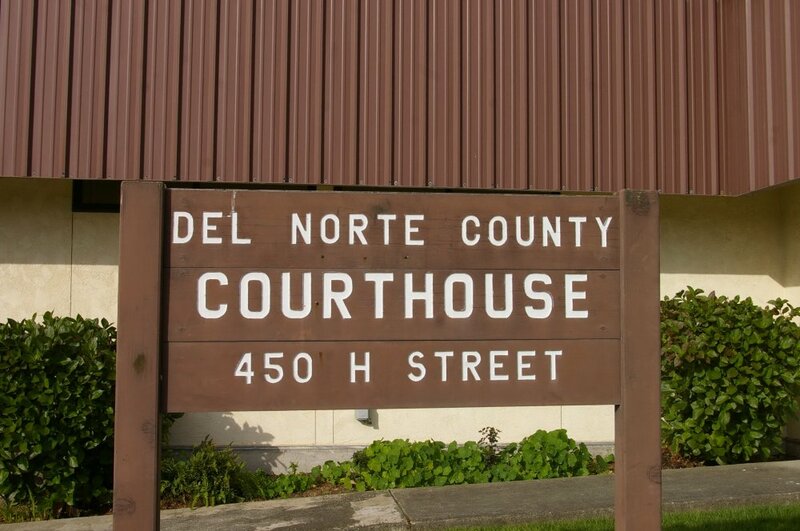 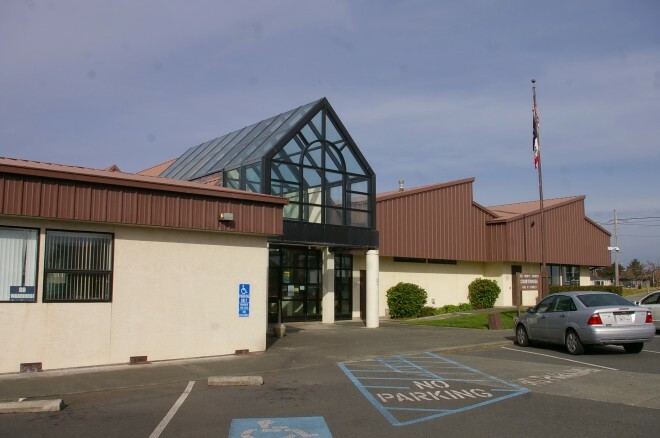 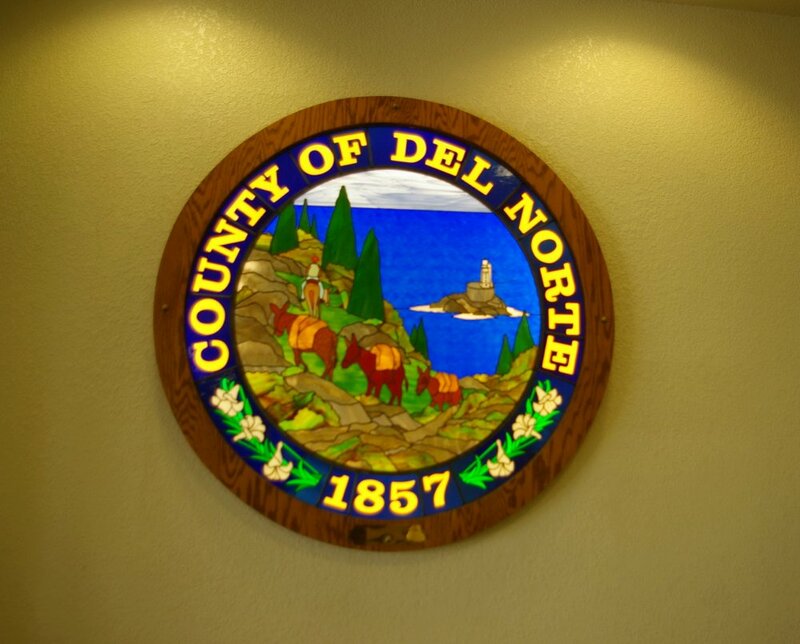 Del Norte County is named for the Spanish word “northern” as the country was the northern most county. 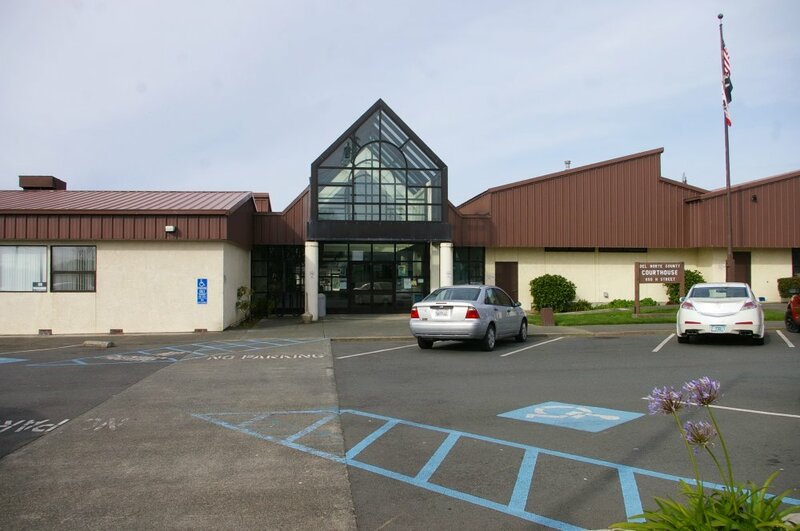 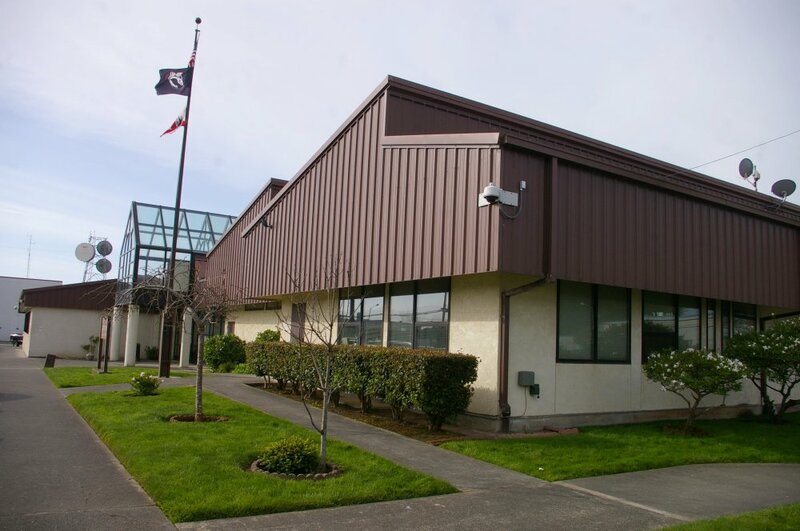 Description: The building faces northeast and is a one story concrete and glass structure. 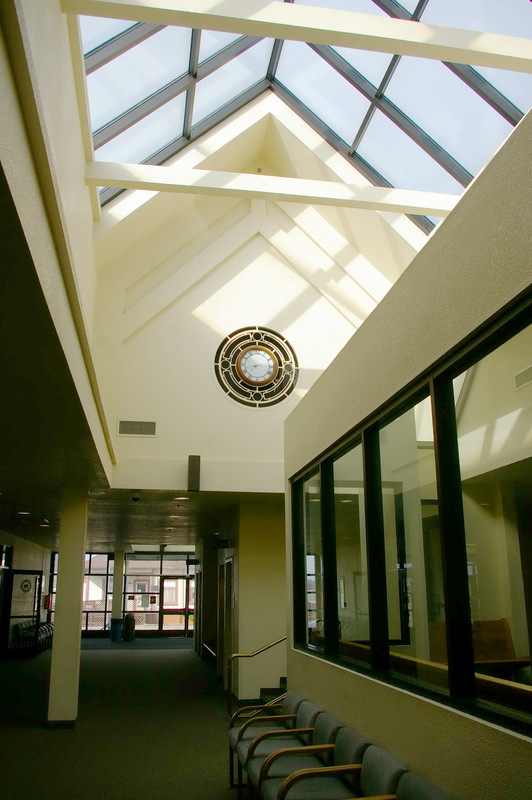 The northeast side has a central entrance with triangular glass roof and recessed glass paneled doorway. 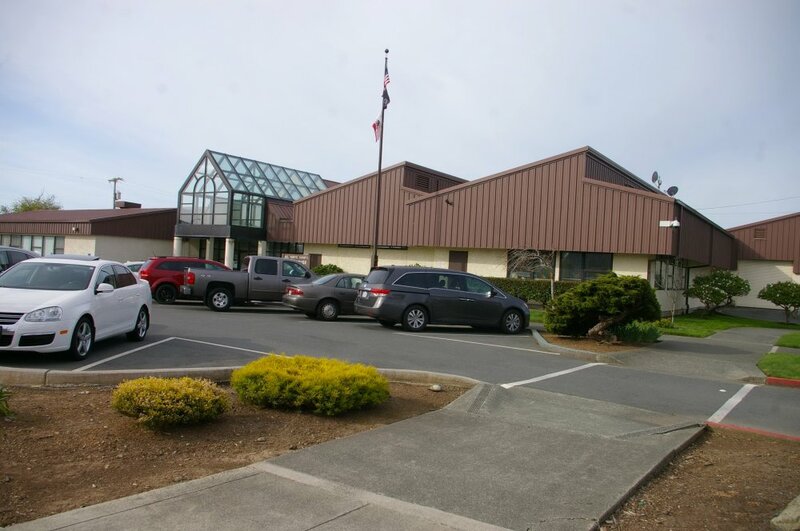 The upper part of the building has brown colored siding with slanted roof sections above. 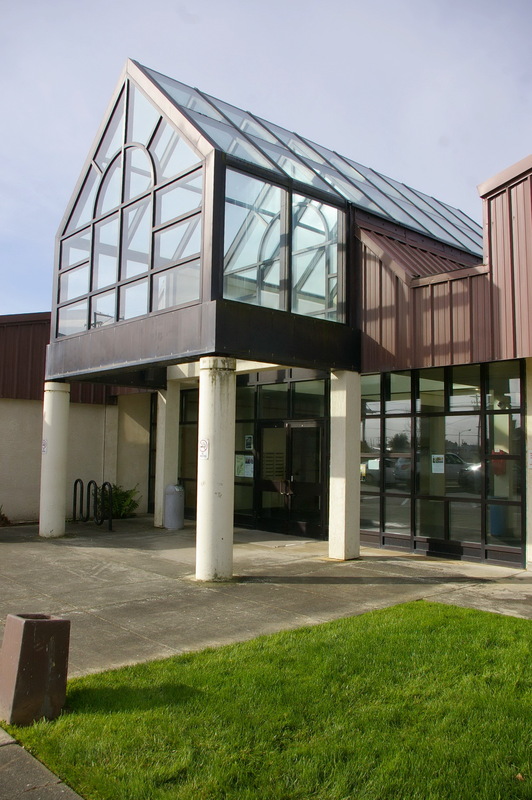 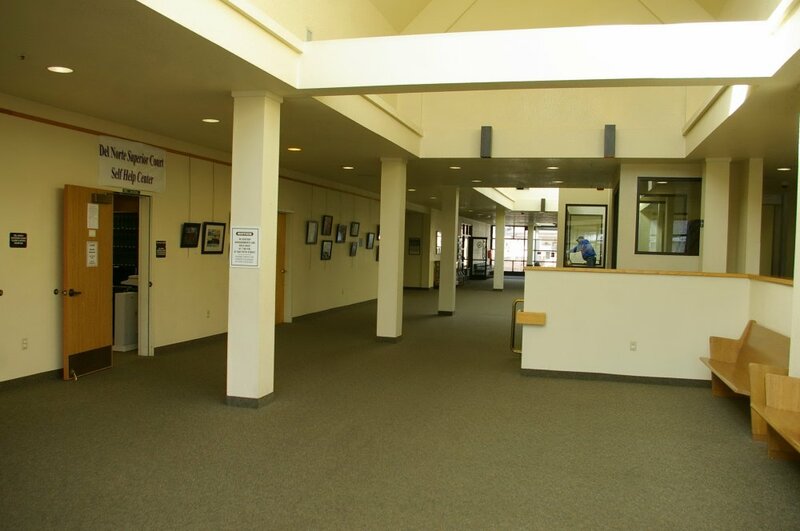 The center section of the building has a glass covered arcade with the court section on the north side and the administration section on the south side. 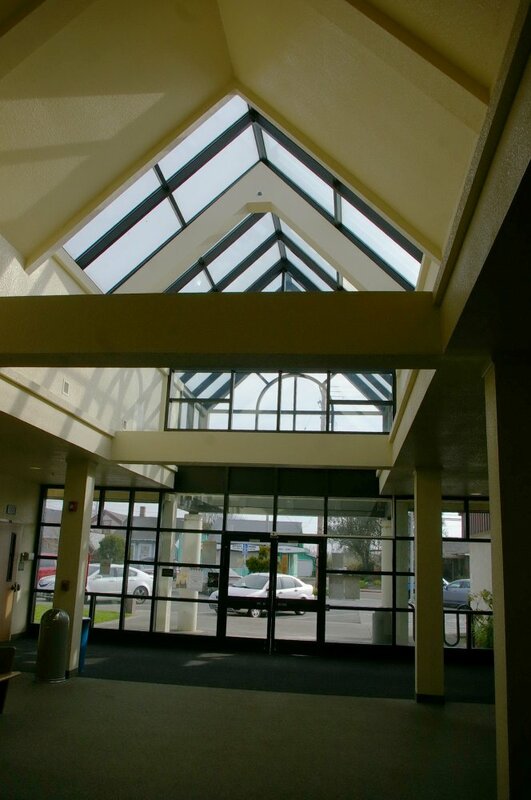 The southwest side has a raised glass entrance to the arcade.